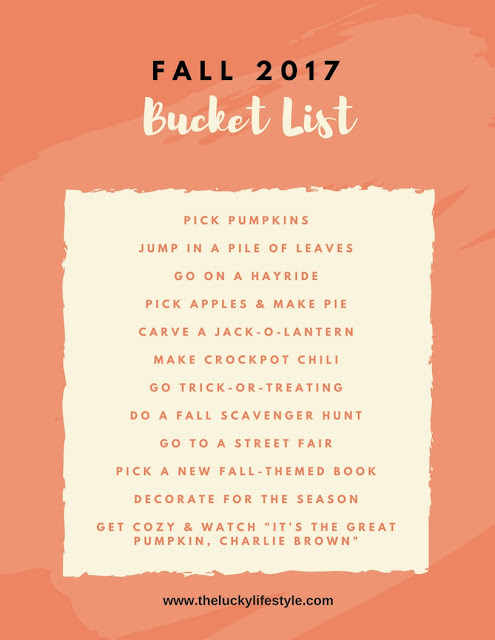 PS - It goes against every fiber of my being to talk about fall while it's still August, but it's coming quickly and I keep seeing advertisements for all of the pumpkin things, so no time like the present, right? Enjoy, friends! This is a great list! I love making short term bucket lists! Glad you stumbled upon my blog last week so I could find yours! You have me so excited for the fall. I love all of those things and hope to accomplish them myself as well!